We are still suffering with illness here. It is now Jasmine’s turn and, as with Ben, she is quite poorly. She has spent the last few days mostly on the sofa, either sleeping or watching TV. 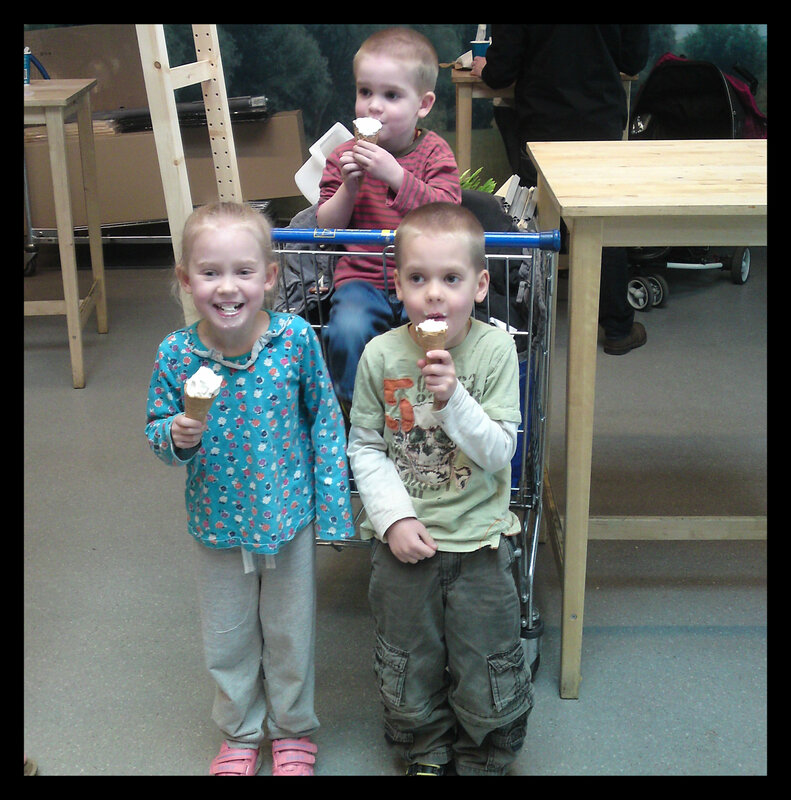 We did manage to get out to Ikea briefly yesterday (after a dose of Calpol!) and bought, amoungst other things, more storage and ice cream! This morning I took Ben to Toddler Group. He had a great time playing with sea animals in water and making a paper jellyfish. After lunch the boys went outside with Gordon to “help” him fix our fence after part of it blew down in the wind last week. Thomas did a little bit of helping but mostly they played with sticks and water! After a while Thomas came back indoors so I got a gravel tray out for Ben and put some water and toys in it. He particularly enjoyed making waves with his miniland vehicles! So, what of the next few days? Well, what I would like is for all 3 children to return to full health so we can return to some sort of normality!